MORAGA — John Tateishi will give a talk entitled “Japanese American Internment and 9/11: Lessons Learned? On Monday, March 18, at 5 and 7:30 p.m. at the Soda Center at St. Mary’s College, 1928 Saint Mary’s Road in Moraga. 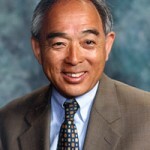 Tateishi, who will discuss post-9/11 laws that undermine everyone's civil liberties, gained national prominence in 1978 when he launched the JACL's redress campaign and crafted and directed the legislative and public affairs strategies that culminated in the signing of the Civil Liberties Act of 1988. More than a decade later, as the national director, he brought the JACL onto the national stage after 9/11, challenging the Bush administration's policies that targeted Arab and Muslim American communities. Tateishi is the author of “And Justice for All” (University of Washington Press), an oral history of the internment of Japanese Americans, and a contributing author to “Last Witnesses” (St. Martin’s Press), a collection of essays by the children of the World War II camps. For maps and directions, go to http://www.stmarys-ca.edu/.